Are there any more Metropolitan Drinking Fountain and Cattle Trough Association cattle troughs in the London Borough of Brent? If you know of any other cattle troughs in Brent please send me details. On 23 April 1927 a 6ft 6in trough  was erected at Hendon on the North Circular Road at the junction of the Watford By-Pass. This trough was originally located at Leather Lane, Holborn. It may have been removed from the North Circular Road in 1963. In July 1887 a trough  was erected at Harlesden Lane, Willesden. In 1903 it was moved to the Harrow Road, by the River Brent. In 1906 it was moved again to Harlesden Lane by Newbury Road. In 1932 it was moved to the Harlesden council depot. On 18 December 1924 a 9ft 6in trough  was erected in Station Road, Willesden by Willesden Green station. 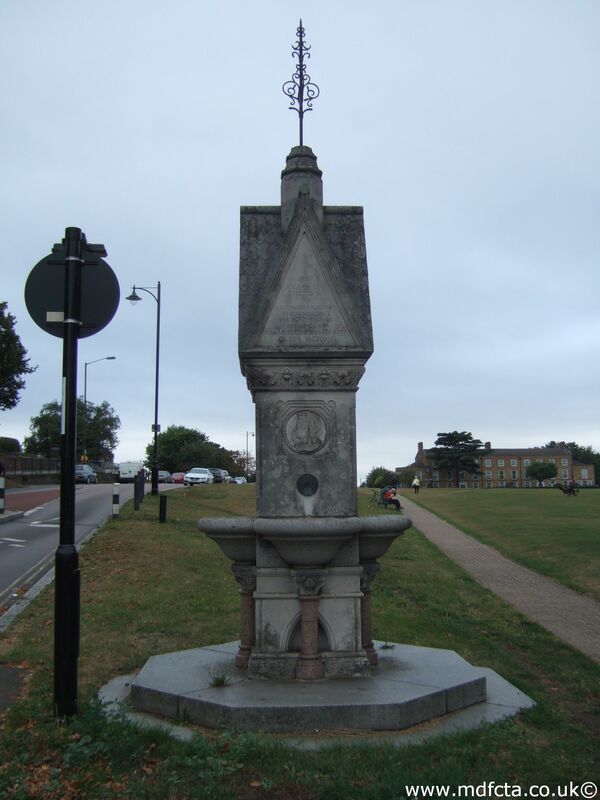 On 8 August 1916 a 9ft 6in trough  was erected outside the Coach & Horses, Harrow Road, Stonebridge. In 1949 this trough was moved to the council depot. In August 1956 Miss M. MacGregor arranged for it to be moved The Mount, Milespit Hill, NW7. On 4 November 1929 a special trough with blue facing bricks  was erected at the Home of Rest for Horses, Westcroft Farm, Cricklewood. An MDFCTA trough was moved to the Mount School, Milespit Hill, Mill Hill Village, London NW7 2RX by the head-mistress Mary McGregor in the 1950's. An MDFCTA trough may have been moved to South Meadow, Park Lane, Wembley. An MDFCTA trough may have been moved to Home of Rest for Horses, Cricklewood. 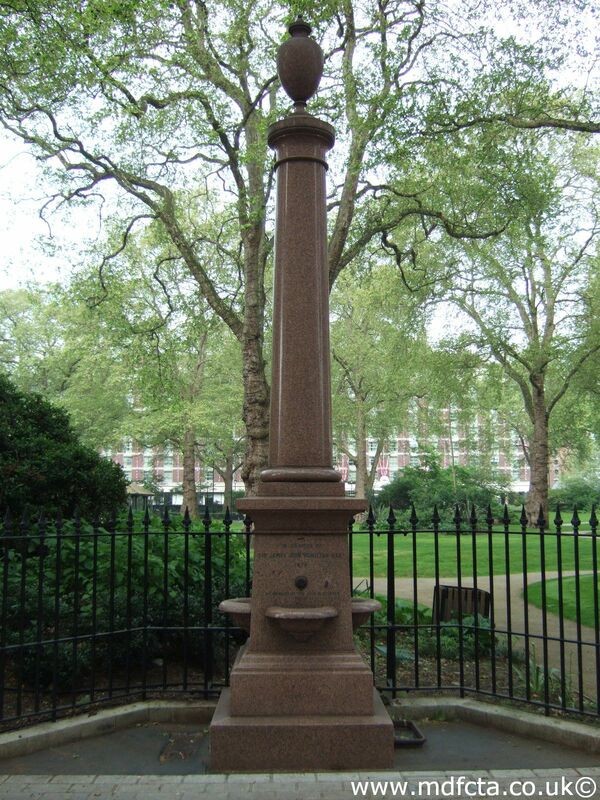 I've not found any Metropolitan Drinking Fountain and Cattle Trough Association drinking fountains in London Borough of Brent. If you know of any drinking fountains in Brent please send me details.